Outstanding elephants were highly prized by the Mughal rulers and are often mentioned in their memoirs or imperial histories. Portraits of these animals were also often commissioned. 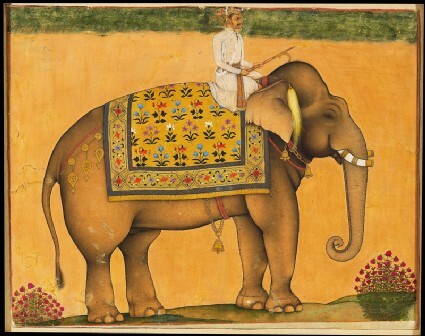 In this Shah Jahan period portrait, the elephant stands patiently in profile while his rider sits holding the ankus, a goad used to control elephants. 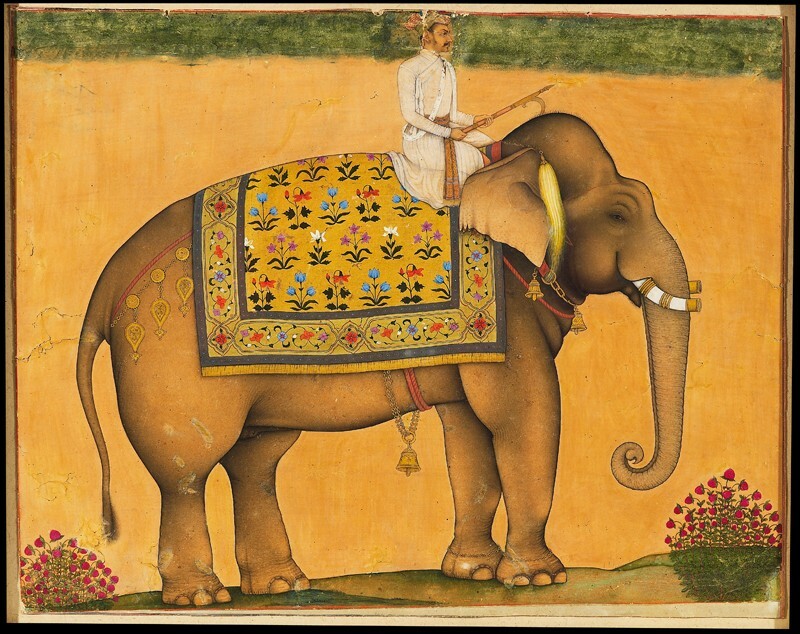 The elephant has a sumptuous gold brocade saddle-cloth with lilies, tulips and other typical Mughal flowers.